Donald Woods - Donald Woods was editor-in-chief of the Daily Dispatch, a newspaper in South Africa. 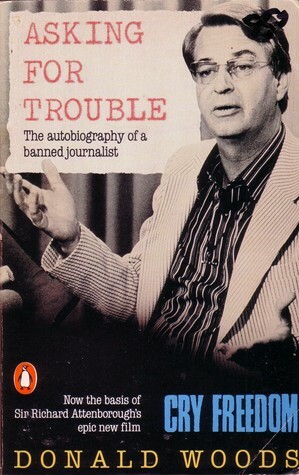 While editor, he integrated the editorial staff (in direct opposition to apartheid) and took up an anti-apartheid stance. However, Woods was originally opposed also to the Black Consciousness Movement, and in particular Steve Biko; they became friends, and Woods was put under ban after the Soweto Uprising.Woods and his entire family (wife and five surviving children) escaped to England via Lesotho after Biko died, and there Woods became an active speaker against apartheid. He spoke in the U.S. and before the U.N. Security Council.Woods died in 2001 of cancer, after traveling back to South Africa after apartheid ended.The 1987 movie Cry Freedom is about Woods, and he and his wife were very involved in the film.